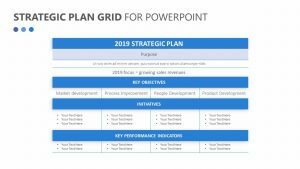 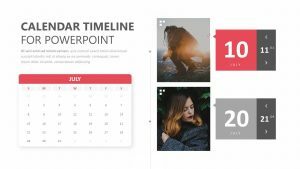 With the Simple 2018 Calendar for PowerPoint, you can get together and communicate your plans for the new year in a way that is simple and easy to follow. 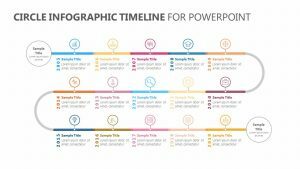 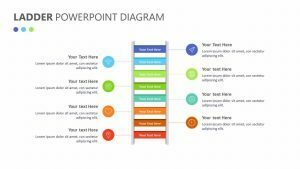 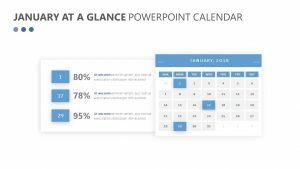 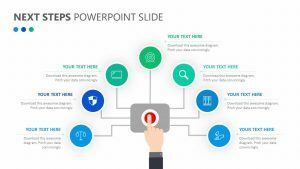 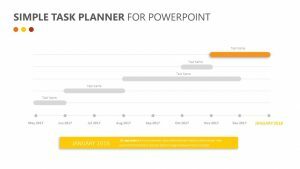 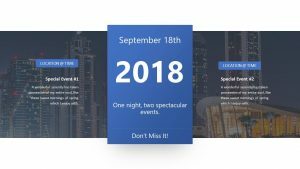 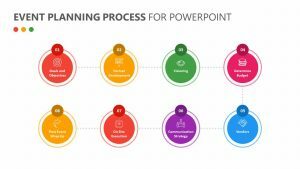 The Simple 2018 Calendar for PowerPoint is a collection of five fully editable PowerPoint slides that have icons, text and color to be edited at will. 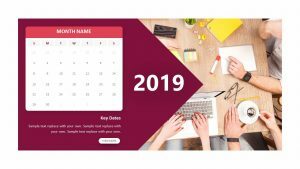 On the slides, you can look at the year month by month and mark important events on the calendars. 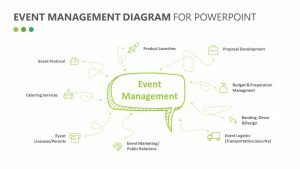 These events can then be detailed off to the side. 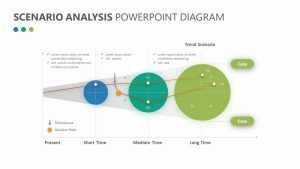 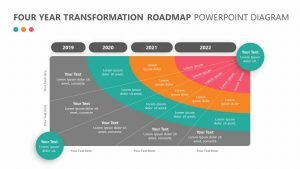 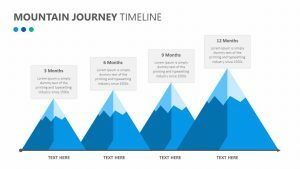 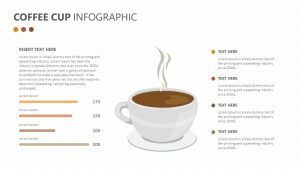 There are slides to encompass every month to give you a look at the bigger picture.